Leather Tassel Loafers E Fit is rated 4.7 out of 5 by 34. 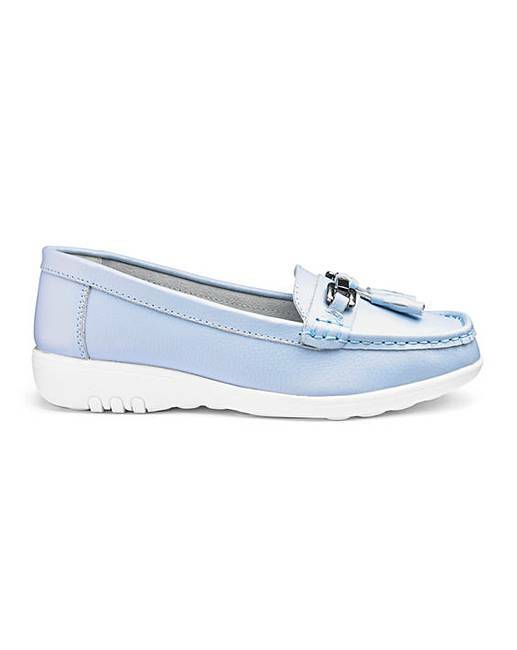 Available in an array of colours, these loafers promise ultimate comfort and style. Boasting super-soft unlined leather uppers and trim and tassel detail, these shoes promise to take you from one season into the next. Rated 4 out of 5 by Ageing rocker from Good value leather shoes. Nice shoes that look more expensive than they are. However they are not very wide considering they are E fitting. After using stretchers they now fit my wide feet. Rated 5 out of 5 by Amber from Comfort with style I bought this because it looked like a smart modern comfortable go anywherre in any weather summer shoe in the right colour for me ,white.Of most importance, it had a bit of height, for a moccasin.My strict requirements are always a bit of a risk with on line shopping. It arrived and ticked all the boxes.,and more.The quality appearance and fitting of the product was excellent Thank you JD Williams .I am so delighted with this shoe ,as with your no nonsence service and patience. Rated 5 out of 5 by Chris26 from Comfortable The most comfortable shoes I have had in a long time. Very soft and perfect fit. Rated 4 out of 5 by Lynda from Stylish and Comfortable Very happy with my purchase. 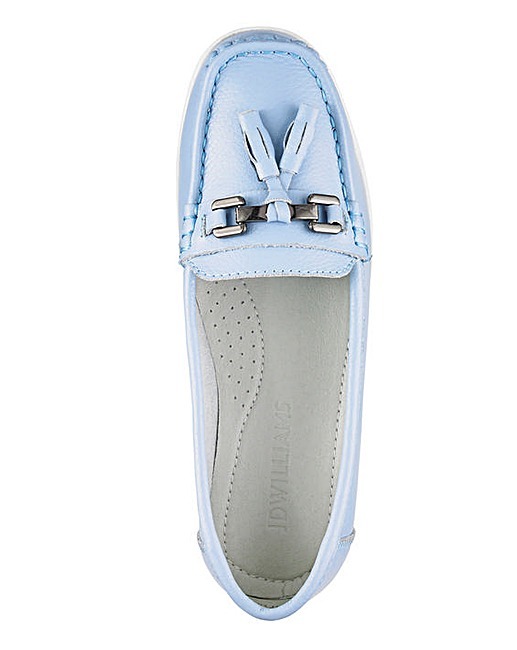 Very nice casual loafers. 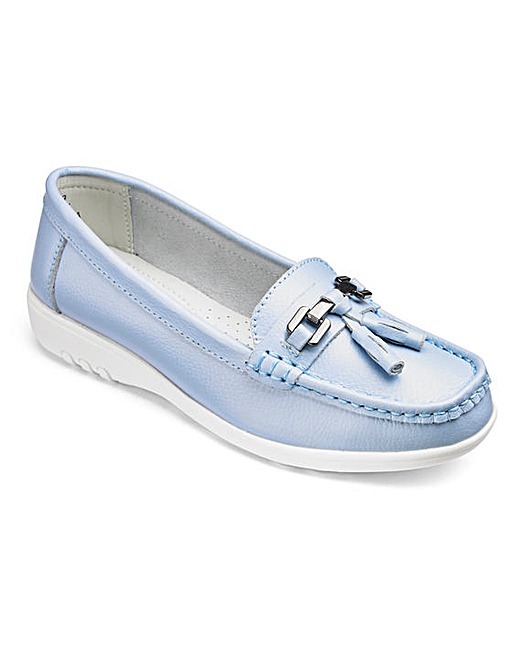 Rated 5 out of 5 by Proud grandmother from Great comfort I bought these loafers for every day wear great comfort. Very soft. Excellent value for money. Rated 5 out of 5 by maureen from Ideal comfort shoes I bought them to wear later on in the year, I am pleased with them. Rated 5 out of 5 by Grandmat from Smart shoes Very comfortable. Good fit. Look excellent with jeans. Rated 4 out of 5 by Walkies 1 from Nice shoe Excellent value leather loader. 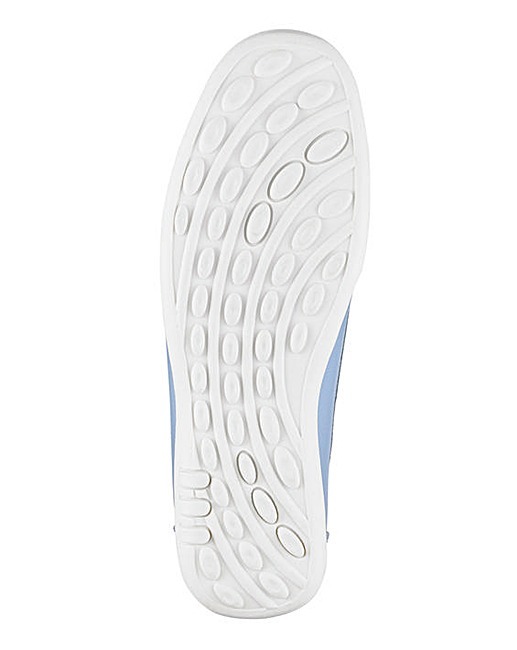 Comfy walking shoe.